When it comes to properly promoting your brand, it’s necessary to choose an option that your potential clients will actually use in their daily lives. At Corporate Connection, we assist a variety of different industries on the regular basis. Although our clients can range from anesthesiology clinics to zoos, we always have great options from which to choose. One of our most popular options is custom caps. El Paso is known as the Sun City for one very good reason, it’s almost always sunny! 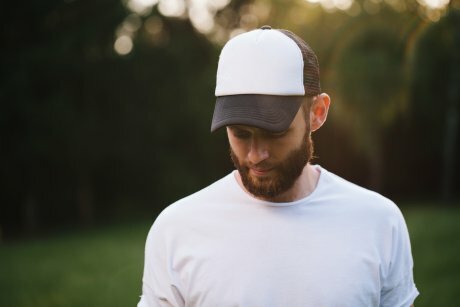 With custom caps, your potential clients will be able to wear stylish, high-quality hats that display your brand name or logo. It’ll be a win-win on both sides! But are custom caps right for your message? Continue reading to find out! People of all ages wear hats. They may wear them to protect themselves from the sun’s rays on a hot summer day or simply as a fashion accessory. Regardless of how the cap will be used, you can create a connection between your brand and your clients. Custom caps are also much easier to wear. A client may be going on some errands and she can simply grab the hat from the coat rack and put it on before heading out. As she goes about her day, everyone she interacts with will notice the hat and will see your brand name or custom design. She will essentially be advertising your brand without even thinking about it! Anyone who wears your custom caps will literally be putting your brand’s name out there. Since you’ll be able to choose the custom design as well as the hat’s style, you can rest easy knowing the final product will look great and properly promote your name! At Corporate Connection, we strive to provide our clients with the highest degree of choice. This is especially true when it comes to custom hats. First, let’s decide on the cap itself. Apart from baseball hats, we also offer options such as beanies and fedoras. If you’d like to choose a more original or striking cap, consider our sombreros, berets, or trooper caps. This is just a handful of what we have to offer. Perhaps you’re in need of hard hats or chefs hats for your employees. Well, you’re in luck because we also have those in our inventory! Once you decide on the cap, it’s time to choose the design. Since we do most of our embroidering in-house, you’ll be able to choose the custom design and we’ll get to work on it as soon as possible. Before long, you’ll have your new custom caps and you’ll be ready to promote your brand in the most efficient way possible! Give us a call today so we can get to work.